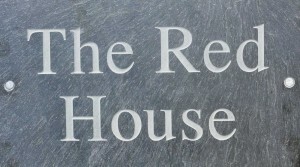 Here at The Red House we’re of a mind that size does matter – and that the best cup of coffee is small; a short, sharp hit of espresso. The way our continental neighbours enjoy their cafe; strong enough to hang a door on and with more flavour than a box of Belgian chocolates. A slingshot of adrenalin. All in all a pretty good description of the espressos served at Padstow’s latest ‘pop-up’ cafe, Otto’s Kitchen Pod, an open sided catering ‘pod’ that first appeared last December parked next to the front of Tesco at the top of town, and operated with friendly efficiency by husband and wife team Pete and Mel Clare. Otto’s is a cafe first and foremost but one that prides itself in sourcing where possible, locally. Baps and sandwiches with bread from Wadebridge’s Malcom Barnecutt’s. Coffee from Hands On Coffee, also in Wadebridge, and Rodda’s Cornish milk. Otto’s is popular with the armies of builders – who know a thing or two about a sustaining breakfast – and who descend upon the town each morning. Stacks of sausage rolls, eggs any way up you like, and sweet treats like flapjacks and brownies. There are tables and chairs for those who like to linger over their coffee and enjoy the town’s least inspiring view. Although you’ll have a better experience if you either knock yours back in one or follow Sarah’s Lane outside the car park down to the water’s edge at Port Arthur. The perfect al fresco pitch for a takewaway. By all accounts the other coffee confections at Otto’s are equally as flavoursome – flat white, Americano, latte and mocha. We just have a thing about the perfect espresso. Like all of Otto’s coffees it contains a double shot of undiluted Lusty Glaze: an intoxicating blend of 100% arabica beans sourced from South America, Indonesia and Africa. The result, a distillation of unrestrained coffee bean punch, with hints of chocolate and hazelnut. The least fattening way we know of kick starting another day in the country’s most beautiful county. Not bad for £2. 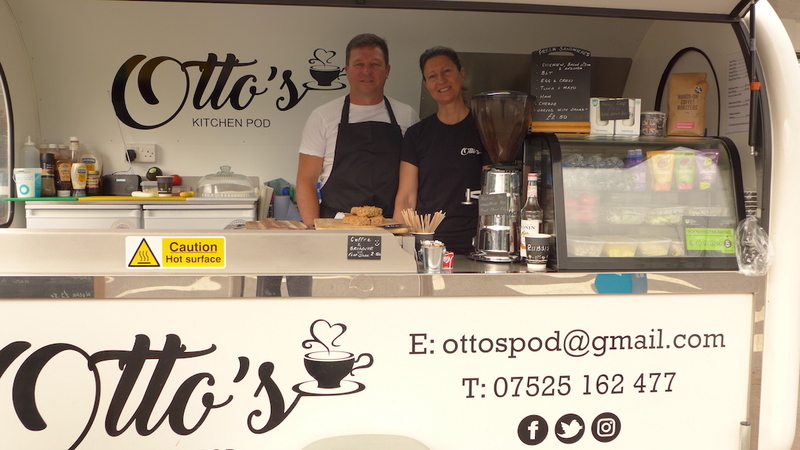 Otto’s Kitchen Pod Tesco car park, Padstow Tuesday to Friday 8.30am to 3pm.